With warm weather and the sunshine now arriving, it is now time to plan a great summer party for family and friends! Summer months mean our days to entertain are not limited to Friday and Saturday nights. Any warm summer day is an excuse to invite some friends over for a summer party. I am not talking about 30 people, but a party to us is even one more family. Having friends over gives us an excuse to pick a fun summer party theme and have fun with it. 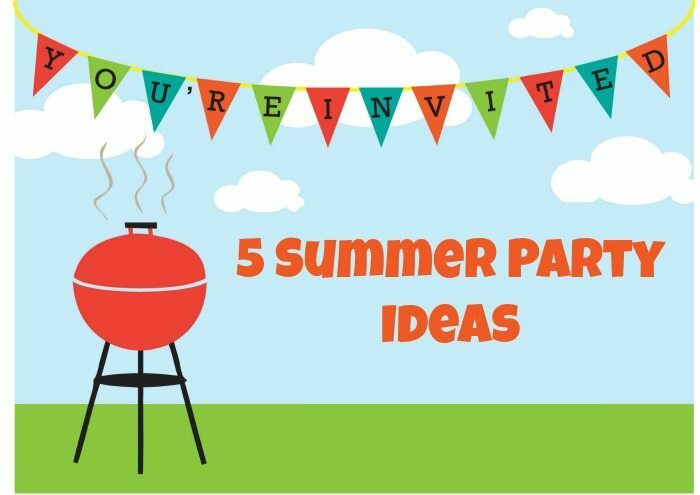 Below, we are sharing some of our favorite summer party ideas. These are great for getting kids involved in the planning, and of course, for simply relaxing for a fun time with friends and family. Your family can take the theme and put your own personal twist to it. We just want to show you how easy it is to entertain and have a little fun with it. A cookout is always fun but hopefully, these ideas will mix things up a bit. Host a Firefly Party: This is a great way to have fun creating some great party favors for your summer party. Celebrate the firefly that is a classic theme of summer, and have fun with your family and friends. Baseball Theme Party: If you have a sports-minded family, a baseball themed summer party is a perfect choice. Invite everyone over to celebrate your favorite teams by wearing jersey’s and serving up fun baseball game themed foods. Decorate your tables with baseball themed decor, and add a few fun baseball penants around the room. Disney Themed Party: Everyone loves Disney and the fun movies and characters. Grab some of your favorite Disney DVD’s and throw a Disney movie watch party, or simply grab some fun Disney themed decorations and have everyone dress as their favorite character. Appetizer Party: If you don’t want to cook a ton of food, make an appetizer party your summer party theme. Create tons of great no-cook foods and snacks for your friends to enjoy while relaxing, listening to music, playing games, or watching movies. Ice Cream Party: We love making homemade ice cream, and what better way to have fun with friends than to create an ice cream bar! 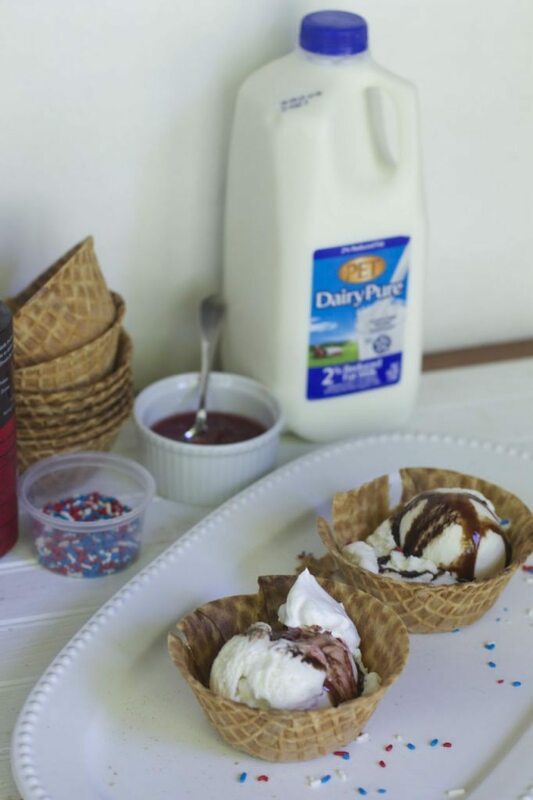 Make your own favorite flavors, using Dairy Pure, or create a fun ice cream bar using waffle cones, sugar cones, waffle bowls, candies, and syrups in your favorite flavors. Let your guests create their own unique sundaes to enjoy! Looking for some great summer party food ideas, you can find recipes and ideas by visiting DairyPure’s DairyPure on Facebook and DairyPure Recipe inspiration on Pinterest . What are your favorite Summer Party Ideas? This post brought to you by DairyPure Milk. The content and opinions expressed below are that of close to home. You shared so many cute ideas here. My children were just trying to catch fireflies. Perhaps I should have a firefly party. 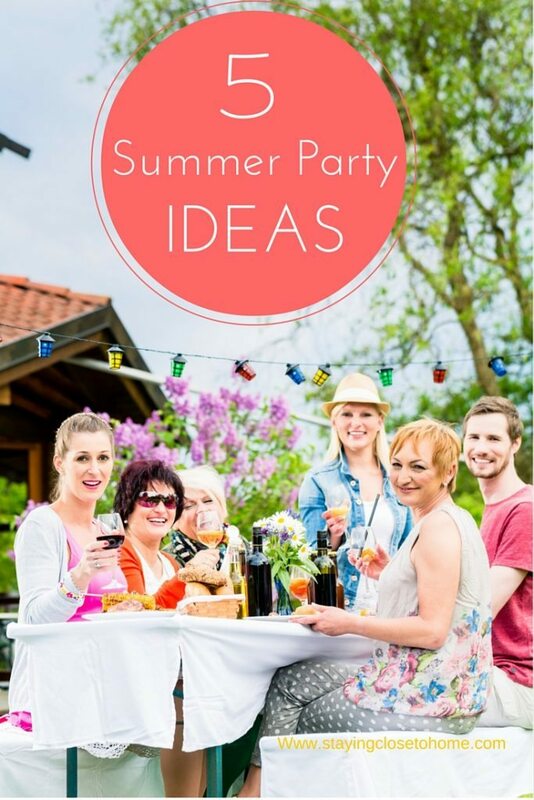 I love all of these summer party ideas! That firefly party is so sweet! My kids would love that, since we’re outside almost every evening catching them! We love having as many impromptu summer get-togethers as possible during the warmer, less scheduled summer months! I love some of your appetizer ideas like the Caprese Salad plate! I love the semi-homemade recipes because they’re easy for a non-cook like myself. The ice cream part looks like fun! wow this is a great post, I got so many ideas for the different theme party that I coordinate. I will definitely try to do the semi home-made appetizer, it looks so good. Thanks for sharing! Those are such cute ideas and so creative! I love the firefly theme with the lightbulbs filled with candy! Thanks for sharing these ideas. I love the ice cream party but then I’m partial to sweets :). I’m actually planning a get together with the fam and the no-cook theme sounds good, especially now that it’s hot.